A mole is a skin growth that’s typically darker than the surrounding skin due to its high concentration of skin pigment. A mole is generally harmless but may be cosmetically undesirable, especially if it’s on your face. Cut out a piece of pineapple and shape it with a knife so that the pineapple piece is approximately the same shape as the mole. Hold the pineapple piece against your mole and secure it with an adhesive bandage. Ensure that you don’t get pineapple juice on the surrounding skin. Replace the bandage and pineapple piece frequently to ensure that the pineapple piece always contains juice. Remove the pineapple piece before you go to sleep. It’s unlikely that the pineapple piece will remain properly positioned while you sleep. Squeeze the juice from a pineapple piece into a saucer before you go to sleep. Use the tip of a cotton swab to apply the pineapple juice to your mole. Rinse the pineapple juice from your mole when you awake in the morning. Repeat this procedure each day until you remove the mole. This may require several days. 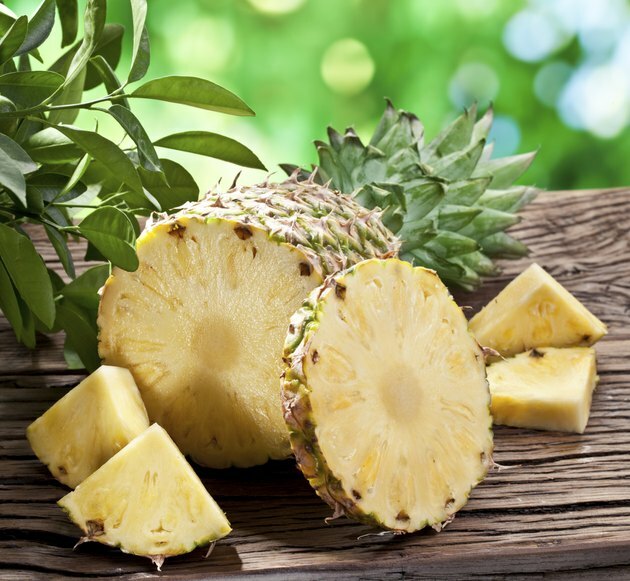 A fresh pineapple is best, but they’re not always in season. Canned pineapple contains less citric acid than fresh pineapple, so canned pineapple may require more time to remove the mole. You can also remove moles quickly using this procedure with other plants such as onions and garlic.